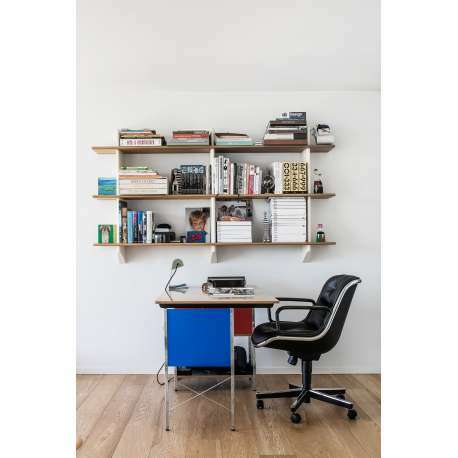 Studying and working become a true joy at this Eames Desk Unit. 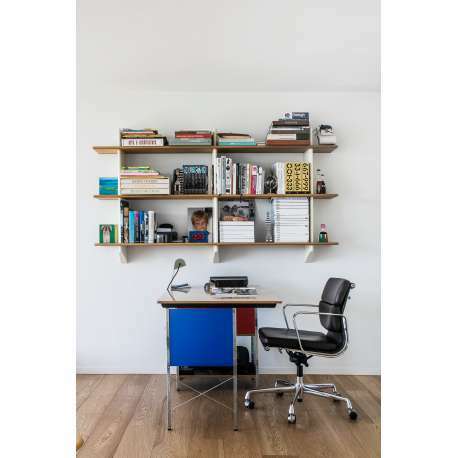 This unit is part of a system of free-standing, multifunctional shelves, conceptualised in 1949 by Charles and Ray Eames. 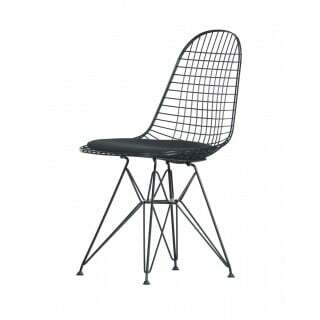 The Eames Storage Units are also part of this. 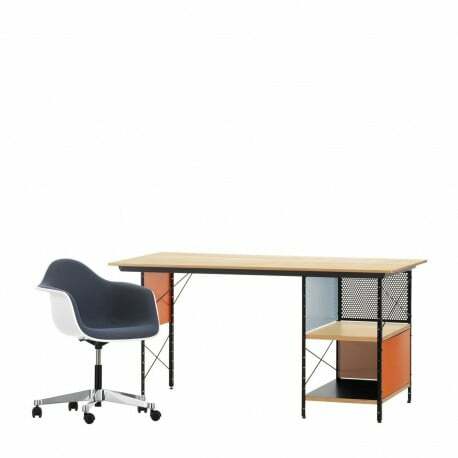 This desk makes for a timeless eye-catcher thanks to the combination of maple veneer, lacquered screens and metal elements.